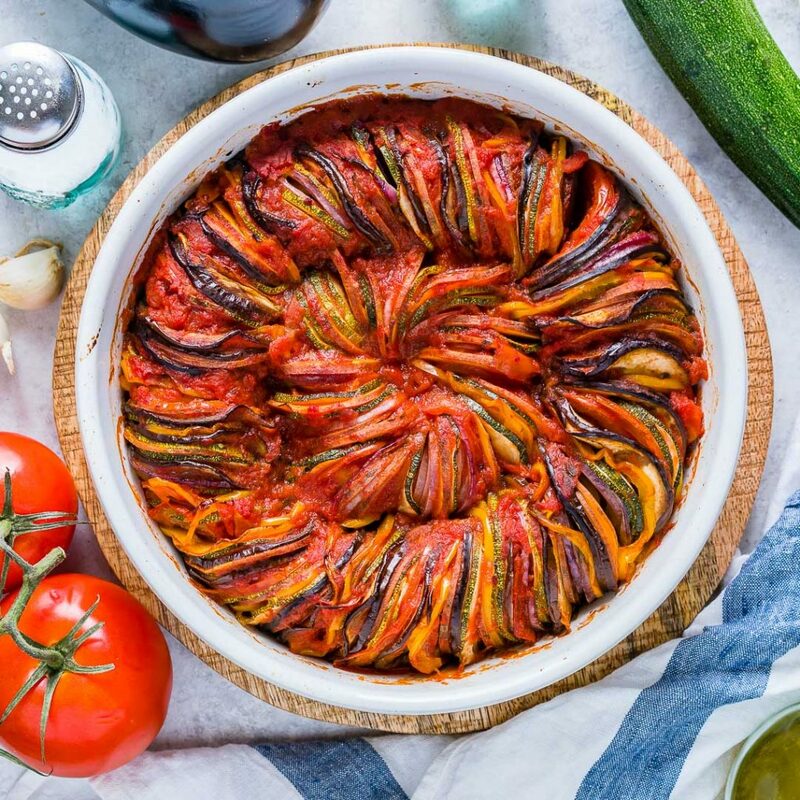 Classic Summertime Ratatouille is a Simple + Impressive Clean Eating Dish! 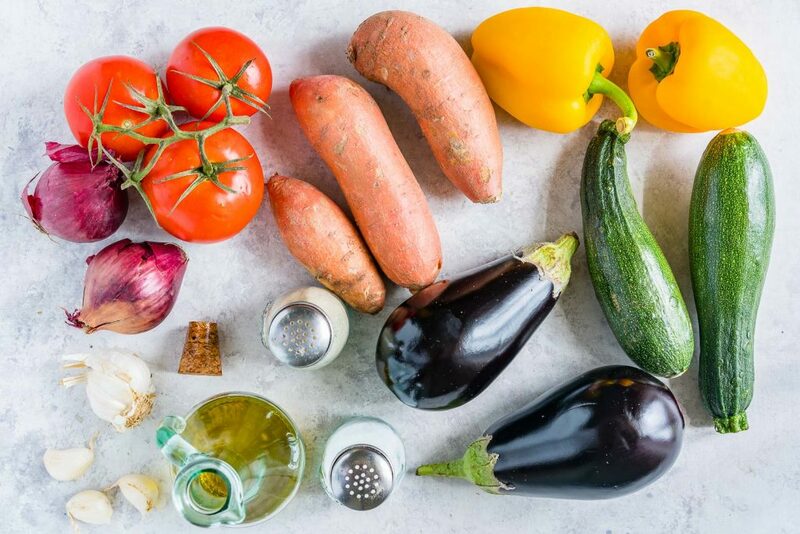 Have you ever tried making Ratatouille? It’s actually quite SIMPLE, and SUPER impressive! 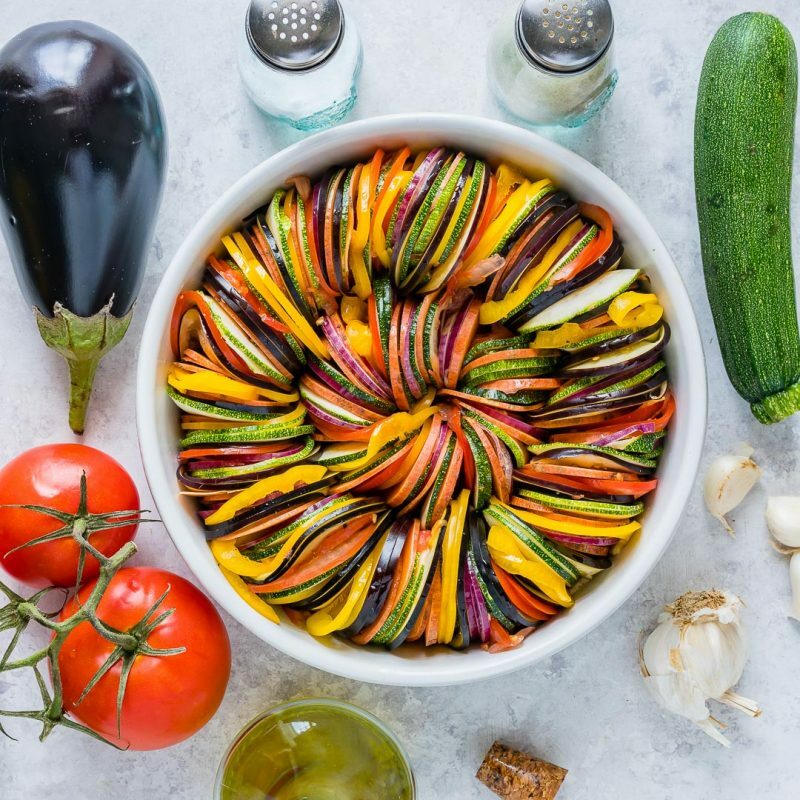 What a tasty way to use those fresh garden veggies! 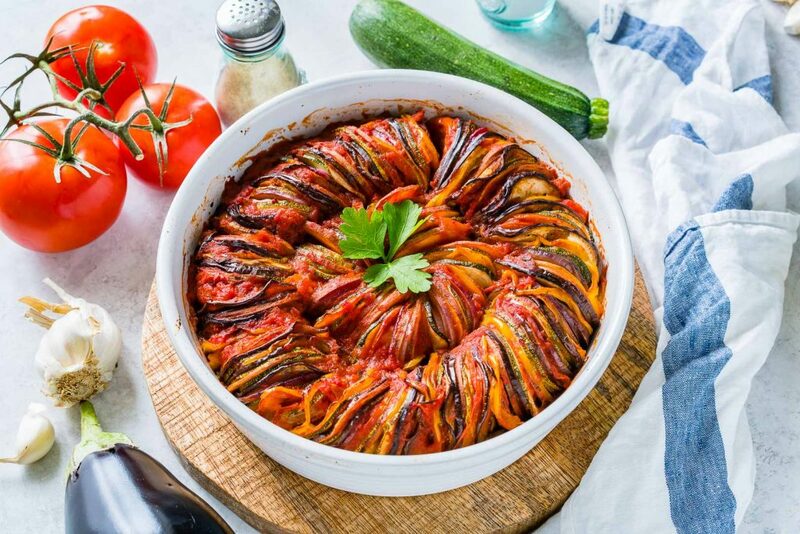 Preheat oven to 400° f. Pour tomato puree, minced garlic and dried herbs into a baking dish. 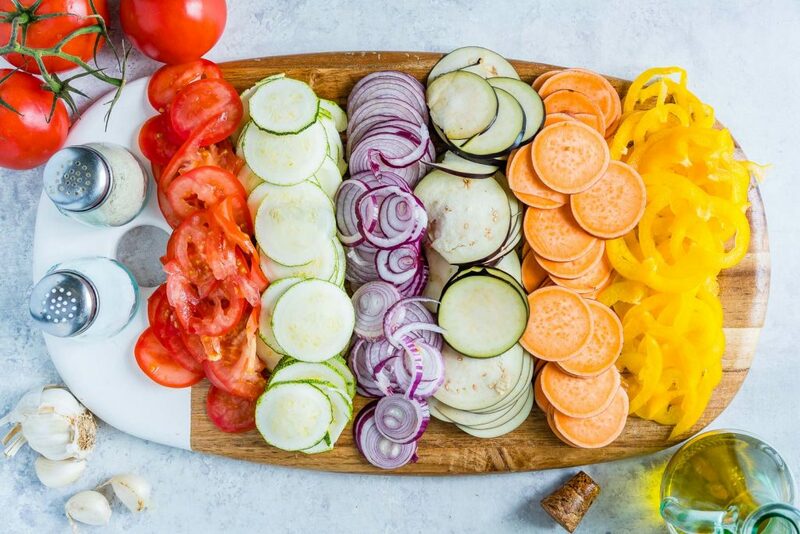 Using a mandolin or a sharp knife, thinly slice all the vegetables equally. Make stacks of the slices alternating the veggies. 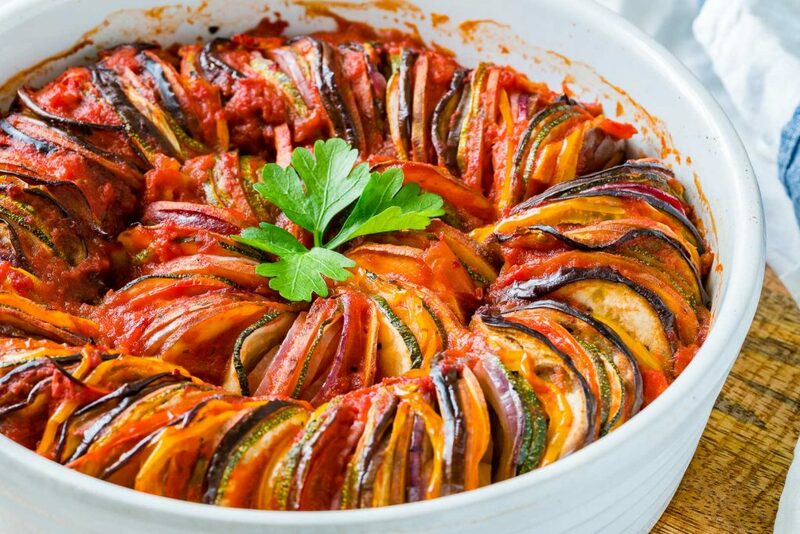 Place them into the prepared baking dish in a spiral, from the outer edge to the inside. Save the smaller rounds for the very center of the dish. Brush with oil and season with sea salt and pepper. 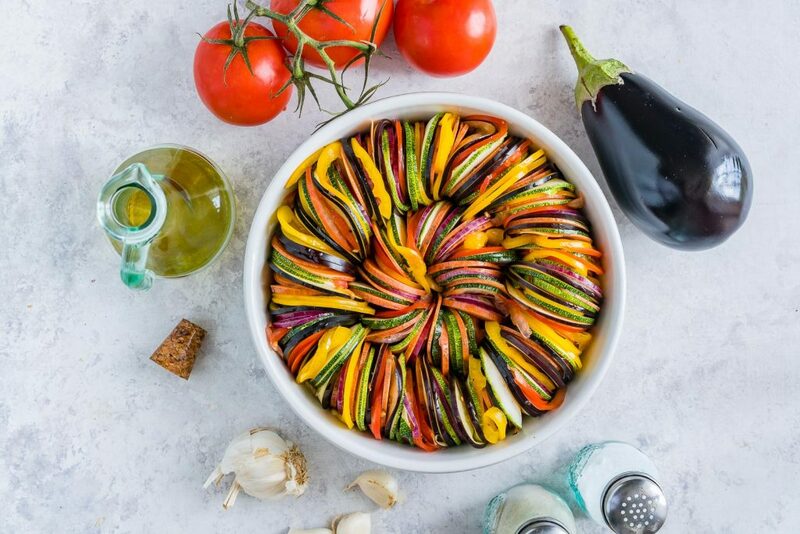 Cover the dish with foil and bake for 40 minutes -1 hour (depending on how thick your vegetable slices are).